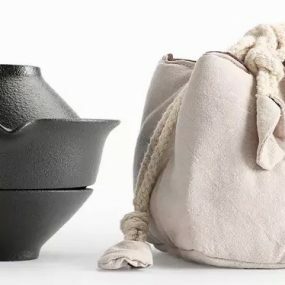 in our lifeThe simple, pure rituals of the tea ceremony help us practise mindfulness, gently soothe ourselves and give us all the benefits of a relaxing meditation. Yet we can do this while socialising with our friends and loved ones, in fact we encourage that. Giving a cup of tea is like giving a cup of now. 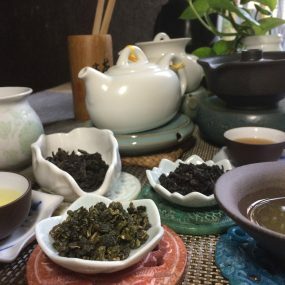 We share kindness and harmony with our companions, and are reminded of the Japanese tea masters’ saying, ichi-go ichi-e (一期一会), each meeting should be treasured as a unique moment for it can never come again. 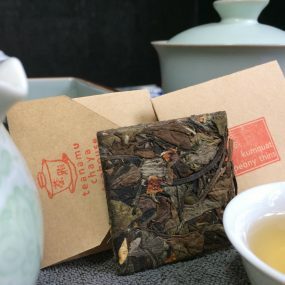 Take a break any time of day, brew a simple and excellent high quality loose-leaf teanamu tea, savour the delicate liquor sip by sip, let yourself meditate on the evolving taste and aroma as the tea leaves dance in tiny porcelain cups. Life is about moments like these, as the Japanese say, that ’cannot be recovered or repeated’. 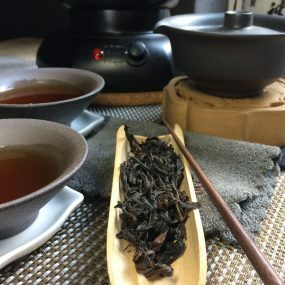 If you want any advice at all, or if you would like us to arrange a complete Gong Fu style tea set for you, please contact us by email and we shall be absolutely delighted to oblige! 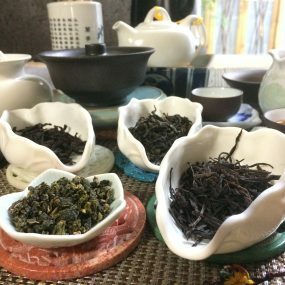 in STOREWe specialize in traditionally crafted loose leaf teas, supplied through our online store, London’s chaya teahouse and outside catering. The service we provide in the different aspects of our business is always admired for its thoughtfulness and care. That’s intuitive for us, and what lies behind it is simple: we like tea! We drink tea all the time. Actually, we love tea. And we only stock teas that we really enjoy. To keep seasonal, often that means we only have small stocks of a particular tea. We try not to disappoint our tea friends, but sometimes stocks really do run out and can’t be immediately replaced. But if that happens we will always try to suggest really good, pleasing alternatives. Tea drinking is recognised in diverse cultures around the world as the ‘royal road’ to emotional, physical, social, mental and spiritual well-being. 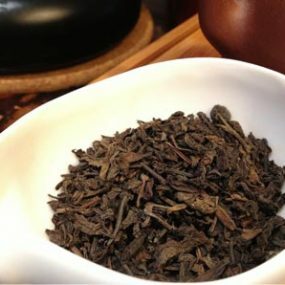 At the emotional level tea promotes feelings of calmness and serenity. In terms of impact on your physical health, tea is packed with antioxidants and has the property of being lightly stimulating yet soothing. Socially speaking, tea is the human ‘glue’ par excellence, whether you’re marking a special occasion or having a casual get-together, whether you’re bonding or healing, chit-chatting or making peace, in times of trouble or of joy. Mentally, tea is a resource that makes your head clearer and your thinking more effective. 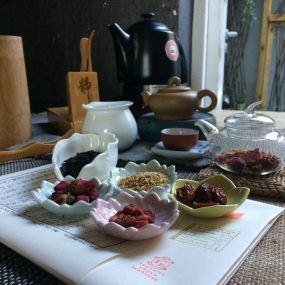 And through all these effects acting together and resonating with each other, tea helps you access that hard-to-define part of yourself, the ‘spiritual’ level of existence that sustains you through the adventure of living. If you have any questions at all about tea, any information you want, how to season a teapot, how long to brew your tea, what’s a really good tea for a summer picnic or a birthday party, anything you like, we’re always here happy to help. That’s why we call our customers our ‘tea friends’ – because that’s the kind of loyalty we absolutely believe in. in hot waterTea leaves grow on the Camellia Sinensis bush. There are over 2000 varieties of this plant, or cultivars, producing over 300,000 different types of tea, each with a different preferred soil type and growing conditions, different leaf size and shape and different flavour profile. Where a particular tea is grown affects the quality of its leaves. Soil type, climate, surrounding vegetation and elevation are all conditions that can produce different nuances in character. Yet you can find the same tea bush flourishing on high Chinese hillsides, covered in mists, and in huge, flat, Japanese tea gardens. The only difference will be that in Japan the bush is allowed to grow taller, and the leaves harvested by machine. 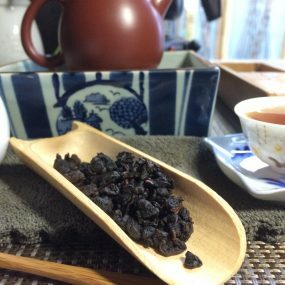 After harvest, tea leaves go through sorting, cleaning, drying, rolling, roasting, blotting, sifting, rattling, bruising, tumbling, smoking, scenting, firing, finishing and packing – sometimes smoking, scenting and/or compressing too, and in Japan steaming is an important process. Commonly these stages involve incredibly precise, artisanal craftsmanship, working with small quantities of leaves and hand tools such as bamboo sieves, or simple machinery, following techniques passed down through generations. In China the hand pickers are tremendously skilled, often having to pay attention to picking just certain parts of the plant, such as a bud with a single leaf, or larger leaves, or the tenderest shoots. Uniformity of leaf is critical throughout the processing stages. Tea picked in early spring is often the most highly prized, the bush having had the whole winter to rest, regenerate and accumulate nutrients, but some oolongs, for example, are considered at their finest when plucked in the autumn. Tea is known to relax the drinker, as proven by brain scans. This is thought to be partly due to the aromas generated by the roasting process. 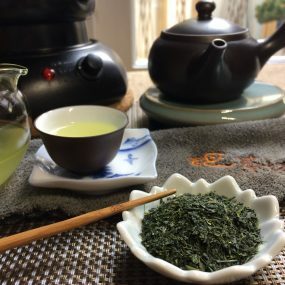 Also, one of the substances responsible for the calming, relaxing effect of tea is theanine, which is also a cause of the umami flavour of green tea.